Binna Burra is located in the Gold Coast hinterland, within Lamington National Park. 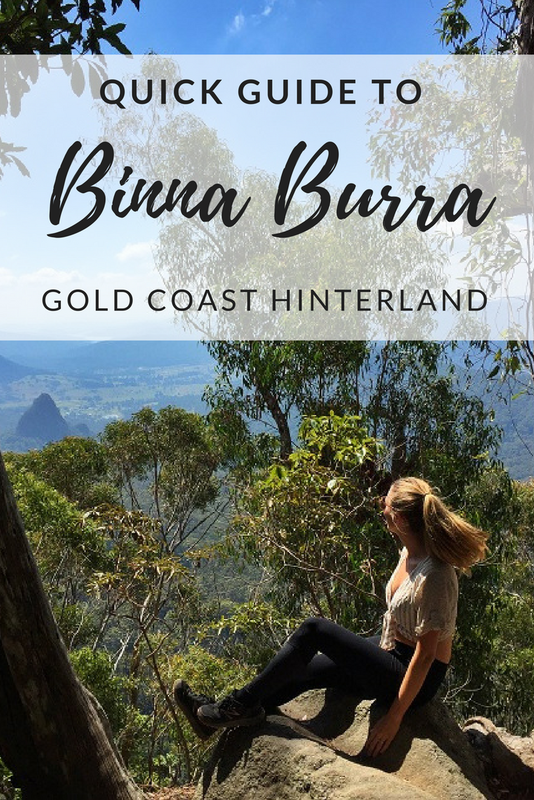 Binna Burra has a number of hikes, tumbling waterfalls, breathtaking lookouts, caves and fern gullies waiting to be explored. Why not grab your best friends and hire a cottage in the rainforest for a weekend away. 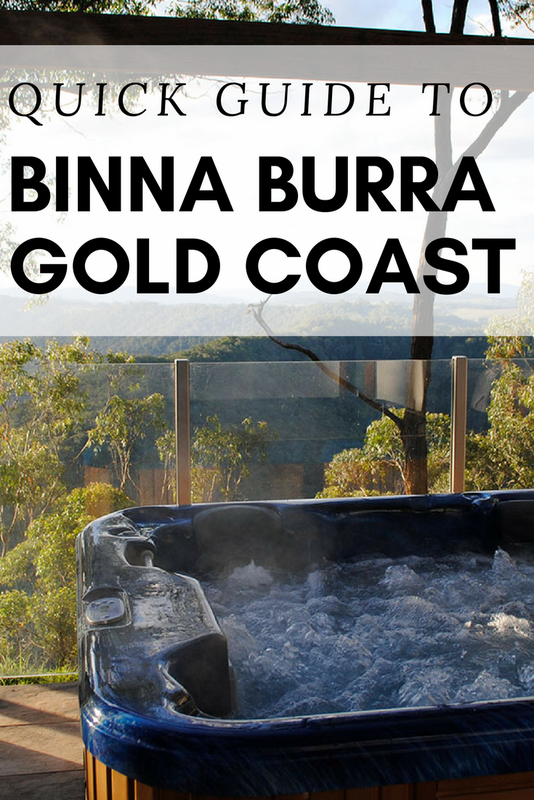 In the post, you will find information on hikes, waterfalls, and accommodation at Binna Burra. Hiking is one of my all-time favourite activities, so I was super excited to explore the region by foot. I was only able to do a short hike during my visit, which gave me a taste of the area and a desire to explore more. The trail I explored was the Bellbird Circuit, which is a short trail (2kms return) that leads to an open lookout, offering stunning views of Ship’s Stern, Egg Rock, Turtle Rock and the Numinbah Valley. 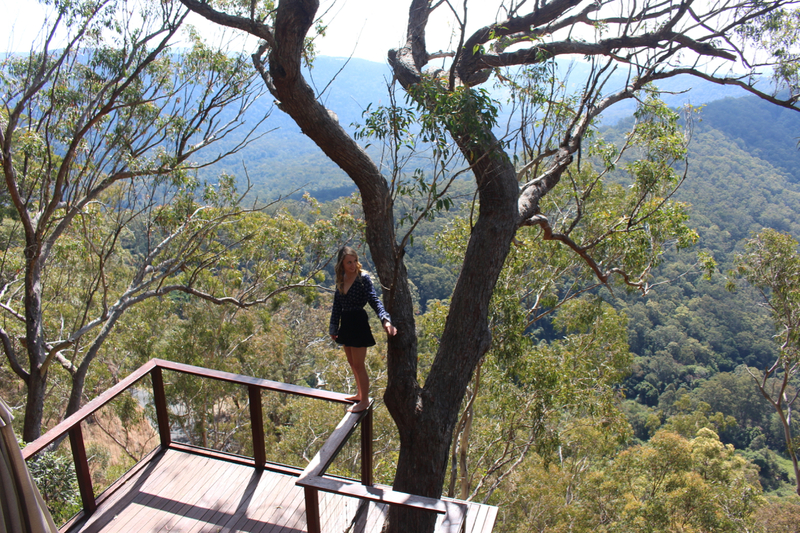 There are soooo many hiking trails to choose from in Binna Burra. I suggest stopping in at the Visitor Centre (Location on the map below) to find out more information about the trails and what one best suits your needs. You can also find out more about the hiking trails in Binna Burra here. The first waterfall you should explore in Binna Burra is Lip Falls. Lip Falls is a beautiful waterfall that is easily accessible. This is everything you need to know about visiting Lip Falls. Coomera and Yarrabilgong falls is another stunning waterfall worth checking out (pictured below, with photo credit to Gold Coast Inside Story). This waterfall, however, is a 17kms return hike. There are lots more waterfalls to explore in the Gold Coast hinterland, check out this post to discover the best waterfalls in the area. 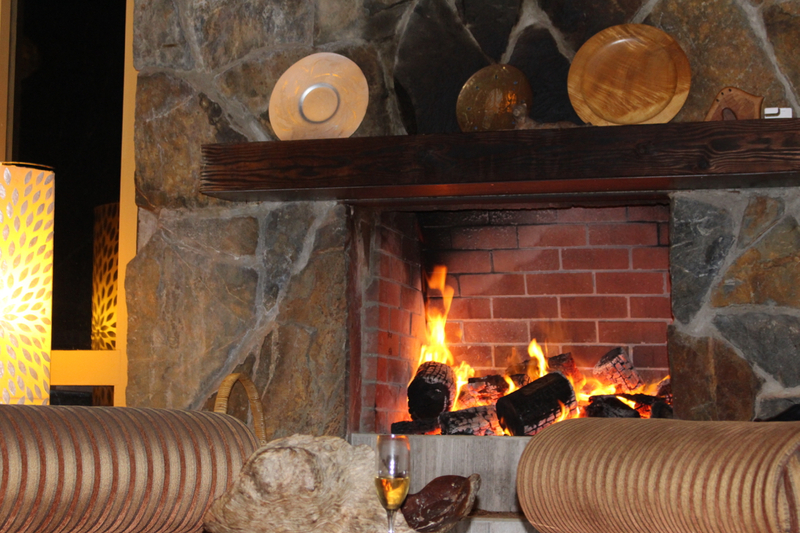 Alcheringa Lodge – Country living at its finest. We hired the main house for our weekend getaway and it was perfect in every way. The highlights were the massive deck overlooking the valley, the outdoor spa, the bathroom of your dreams and the fireplaces – after all, it isn’t a country house without an open fire, or three. This 4 bedroom, three bathroom house comfortably slept 8 people and made the perfect weekend getaway. Instead of explaining it to you, I am going to show you. If you don’t need this much space, you can rent the cottage next door. You can book Alcheringa Lodge on Airbnb. To get $50 off your first trip, register with this link. 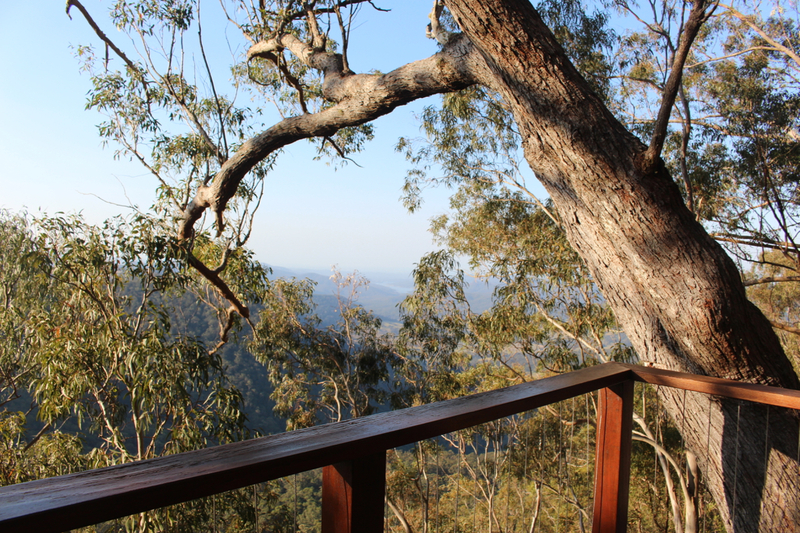 A heritage listed mountain lodge and popular accommodation option in Binna Burra. 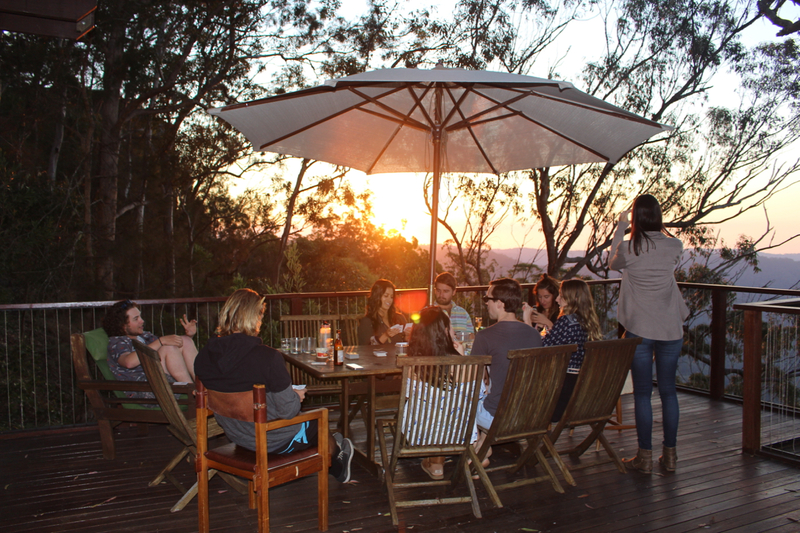 Binna Burra Lodge is a cheaper option that Alcheringa Lodge, but has more of a modern accommodation vibe that Alcharinga Lodge, that has a country home feel. 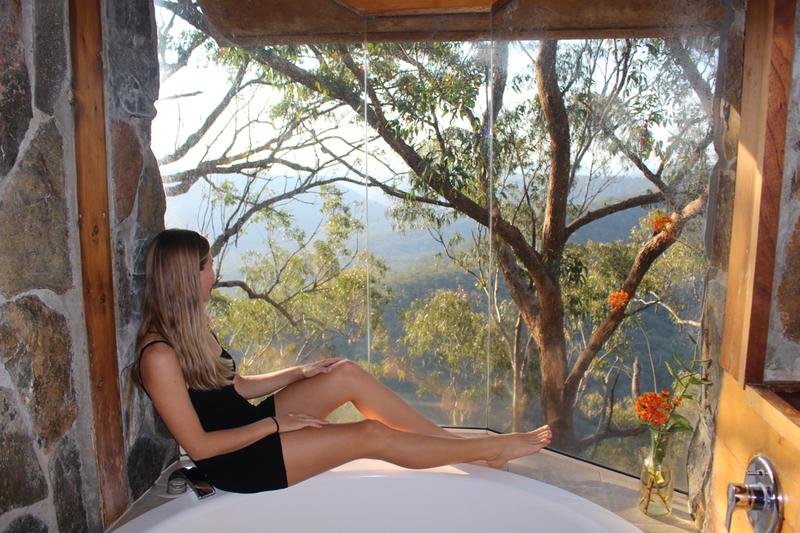 Book Binna Burra Lodge here. See more from the Gold Coast.